One thing for sure is that I am not a frequent traveller, however I think I am ready to explore the world. The second week of 2018 was a blessing where I had travelled to Sri Lanka to attend my friend’s wedding, and that’s where it hits me that I should start to travel and learn about cultures, heritages and self discovery. This time, the trip to Nha Trang was planned with my work colleagues, we had decided to explore the South Central Coast of Vietnam for 4 days after hearing raves from friends. It is quite famous among Malaysians because we just love beaches and there’s a direct flight from Air Asia. Nha Trang was known as Kauthara when Champa reigned over Vietnam hundreds of years ago and become one of the most busiest and popular tourist district with plenty of resorts in Vietnam, famous for diving, island hoping and cheap booze. The moment I stepped into Nha Trang, I was amazed by the beautiful sea view along the road, I could this trip would be memorizing because who doesn’t? 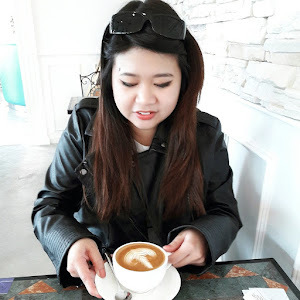 We travelled to Nha Trang in the beginning of May where it was a hot summer season, it was advisable to bring umbrella to avoid heat summer (I experienced that and it was terrible!) But anyhow, Nha Trang city is a beach paradise! In every South East Asia country, night market often plays a large role in evening activities where plenty of street markets are open for locals and tourists to do some shopping. Dam Market is just located 1km away from our hotel, which is a good option for us to spend our evening by the beach and did a quick walk at the night market. Along the street you could find Vietnamese souvenirs, dried fruits, local snacks and many more. I did not purchase anything from the night market however, the streets of Nha Trang offer various of local delicacy such as Bahn Mi, grill seafood and desserts! I had to try Stir-Fried Ice Cream a.k.a I-Tim-Pad in Thai, yep this is originated from Thailand and has expanded to neighbouring countries. It is a handmade ice cream dessert made with milk poured on iced grill, mixed with fresh fruits ingredients on the pan. The moment I tasted this wonderfully made ice cream, I was surprised by the sweet and icy taste of the rolls! This is a must-have street desserts you should have while travelling in hot summer climate, you will be amazed and thirst for more! Po Nagar Cham Tower is a temple tower built between 7th and 12th centuries, dedicated to Ya Po Nagar, the goddess of the country. The complex originally had seven or eight towers, but only four remain, of which the 28m-high North Tower (Thap Chinh; AD 817), with a terraced pyramidal roof, vaulted interior masonry and vestibule, is the most magnificent. The Cham towers are still actively used for worship by Cham, Chinese and Vietnamese Buddhists. According to Vietnamese Online, the central tower is in honour of Cri Cambhu who blesses devotees with fertility, hence childless couples often visit and pray there. For those who wants to have a local experience, visit Dam Market a.k.a Cho Dam – Nha Trang City’s largest and main market. This would be the place for you to wander into all sort of merchs, clothes, souvenirs, dried, packaged food, etc. Some might find the market an experience but to me, it is just another regular market in Malaysia, it is resembling to Pudu Market in Kuala Lumpur where there are plenty of stalls along the road. Since Dam Market is a tourist attraction, the price could be overcharged so do bargain hard. One of the main destination in Nha Trang is to visit Vinpearl Land Amusement Park which is located in Hòn Tre island, directly opposite of Nha Trang bay. It is a Vietnamese’s version of Disneyland where there are outdoor theme parks, water theme park, aquarium, and the biggest Ferris Wheel in Vietnam. The entrance fee of Vinpearl Land Amusement Park is roughly 880,000 VND (38.68 USD or MYR 154.63) with two- way cable car. You can enjoy half price after 4.00pm. To be frank, it is rather difficult to find an authentic Vietnamese cuisine in Nha Trang for us. Since it is a tourist area, do expect to find various of Western and Chinese cuisine. The most local food we could get here is Bánh mì, which is a kind of sandwich that consists of a Vietnamese single-serving baguette. Fret’ not, here is the list of the restaurant/food we managed to try in Nha Trang. Yes, Nha Trang is a seafood paradise as it has many fishermen in this district. I couldn’t recall the name of this restaurant but we had a cheap and simple dinner here. Well, here’s the thing – Avoid this restaurant at all cost. Since we have just arrived and new to Nha Trang, we couldn’t find a decent meal, not to mention that it is rather difficult to find authentic local food here. While we walked around the city, there was this flyer passed to me saying that it is a BBQ buffet with fresh seafood. Immediately, our kiasu mentally kicked and decided to spend the evening here. Turns out, the place is not air-conditioned, we had to bare with the bbq smoke and noisy as well. The choices of the food was okay where there are plenty of clams, meat, seafood to choose from. However, I was not satisfied with the service of the staff because short of manpower and they served those who paid tips. It was raining on the 2nd day and we had no idea where to eat. Thanks to the good old trusty Google, Alpaca Homestyle Cafe has a high raved among the visitors where they serve European cuisine and bruch! The moment I arrived this beautiful design cafe, I was in love with it instantly. How could you not resist to this cute, cozy environment in Nha Trang!? Although their service is quite slow, their food we ordered were delicious! This restaurant will be in my must-go list whenever I visit Nha Trang again. FYI, it has the potential to kick out most cafes in Kuala Lumpur. No wonder it is ranked at #4 Restaurant in Nha Trang at Trip Advisor.